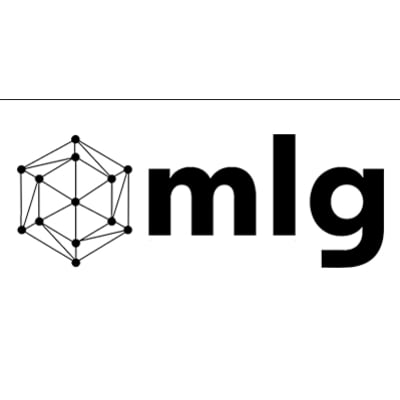 MLG Blockchain is a global blockchain development and consulting firm headquartered in Toronto with a distributed team across North America, Europe and Asia that is focused on building next generation applications using blockchain and smart contract technology. We speed up your team’s understanding of the blockchain and its potential opportunities for your business and help you to create a blockchain strategy you can use today. MLG Blockchain Consulting is the fastest growing Blockchain consulting agency in Canada. We have grown from 4 to over 60 employees in 6 months, and expect to continue at this pace for the months to come. We work in a decentralized model, allowing you to work from anywhere. The physical HQ is in Toronto, with offices in Montreal and Rotterdam. This is an opportunity to join one of the hottest industries in fintech, and become an expert in the internet 3.0. Reporting directly to the CEO, you will guide the overall human resources and recruitment vision and direction of the company. As HR Director, you should have expert level knowledge of the Cryptocurrency/Blockchain industry as well as relevant experience in HR Roles. Working in a start-up company environment the HR Director should have experience recruiting top talent & creating talent onramps, negotiating contracts, managing career paths within the company, creating organizational work structures, and implementing HR software within the organization. As HR Director you should have minimum 5 years of HR experience and a strong portfolio of past successful ventures. Hire the company’s best talent, while ensuring the company culture remains the same. Work with CEO & CMO to develop recruitment channels. -Help build BlocktalentX (recruitment division). Set up and manage hr software to place all employees on growth paths. -Help retain employees through proper incentive plans. -Help train employees through proper onboarding and training programs. This applies to all positions, starting from entry level positions all the way to C-Level positions. -Create yearly retreats for employees and set up global pods for employees to meet at. Work with each division to proactively hire at astonishing speeds. Help consult other divisions whenever necessary. Create HR guidelines to ensure proper growth of the company and solid foundation. Build and lead the HR team. Pioneer in HR best practices within blockchain and/or fintech and/or consulting industry. Experience working in a start-up environment. Expert level knowledge of recruitment and HR best practices. Ability to work and hire with a decentralized team. MPCX Platform Limited Fundraising & Business Development Director London 212 19 Extremely competitive commission, Equity and XDMC Crypto token compensation schemes.